Lead Liaison keeps the score for you. Scores are increased and decreased based on your company‘s scoring rules. 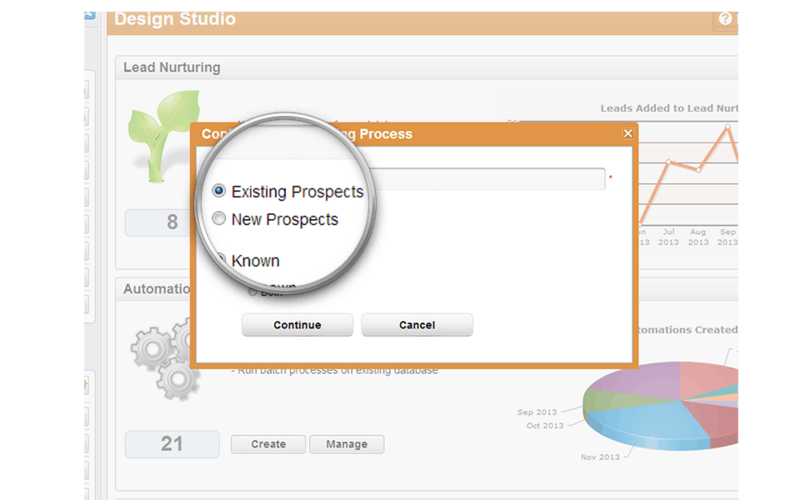 Send alerts to sales, marketers or a team if a prospect becomes “hot” and reaches a pre-defined score. Score an entire database of leads/contacts or score prospect as they surf your website. According to Marketing Sherpa, 80% of marketers pass unqualified leads to sales. Lead Liaison’s lead scoring scores a prospects buying behavior. The higher the score the hotter the prospect. Once a prospect reaches a scoring threshold, which your company defines, pass the lead to sales for immediate follow up. Sales will receive a well qualified prospect and have invaluable insight into their online behavior before reaching the hot lead score threshold. 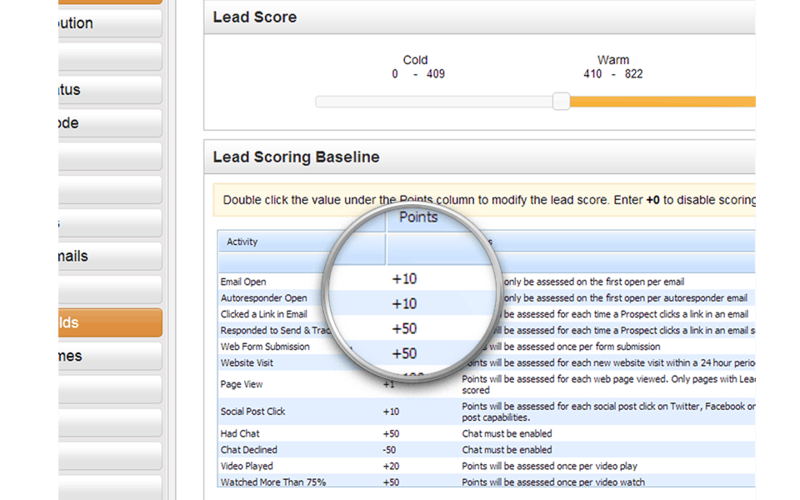 Lead Liaison delivers automatic and custom lead scoring making it easy to score prospects out-of-the-box, right away. 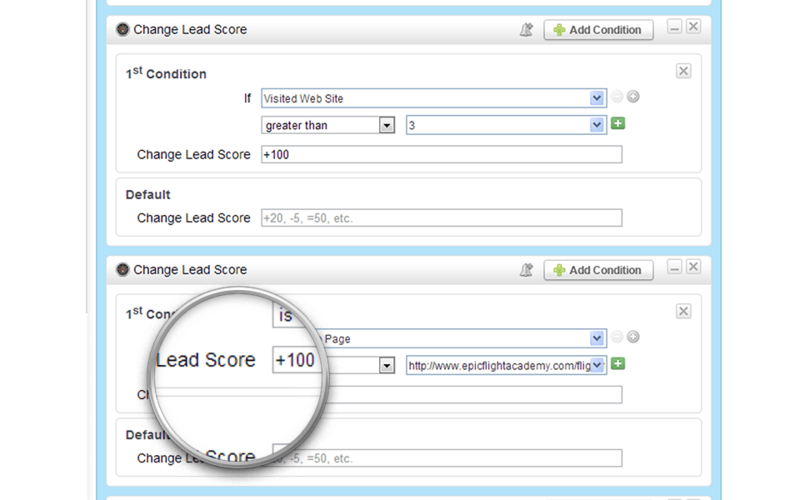 With a single click default lead scores can be changed. Score document downloads, page views, web form submissions, video activity and much more without any setup required. 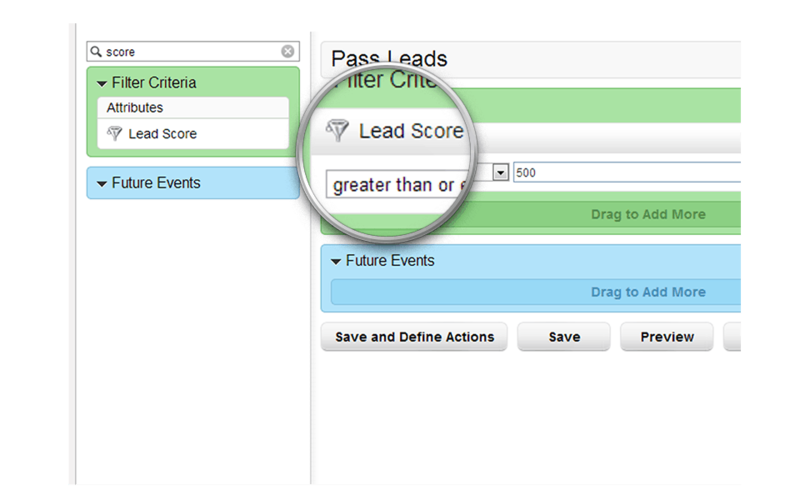 Take your scoring practices to the next level with easy-to-use drag & drop custom lead scoring. Setup customized lead scoring processes based on your company’s lead qualification policies. Score multiple activities including email opens, visits to specific web pages, web form submissions and more. No need for coding or IT skills, simply use our drag & drop interface to setup your scoring rules. 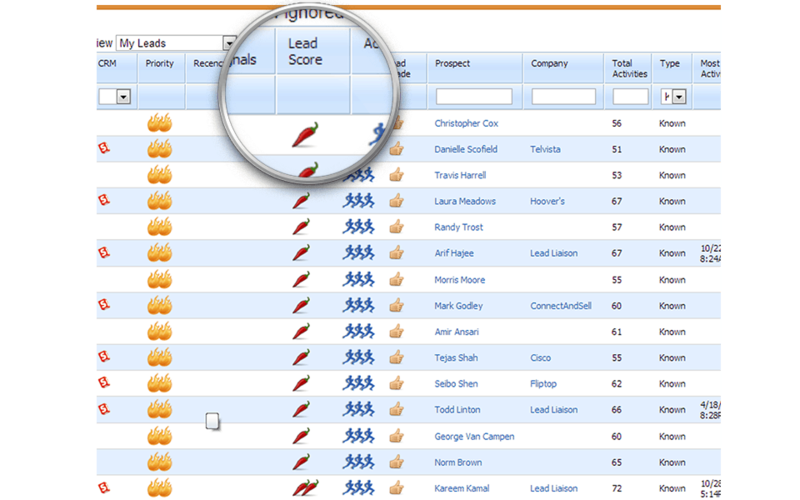 Our hot lead dashboard, called Briefcase™, helps sales people identify the hottest leads. View leads for your entire organization or only leads that you own. A simple flame system is used that categorizes leads based on multiple lead qualification factors. Buy signals, recency of activity, lead score, lead grade and overall activity is fed into our lead qualification engine to determine the appropriate number of flames to assign. The qualification engine can be tuned to meet the needs of your organization using an elegant interface. One of the most valuable assets a company has is their database. Companies work hard to collect contacts from various sales and marketing efforts, like cold calling, tradeshows and events. It’s important to market and re-market to your database; however, make sure it’s clean before your start. Score your existing database by running scoring rules across it. Establish a qualification baseline which your sales team can work from. Scoring/grading your database makes it easy to search and prioritize calling efforts when you re-market.